Licha Enterprises sources natural diamonds and gemstones directly from the mines. We carefully hand select the parcels to ensure that you have an exquisite one of a kind product at highly attractive prices. If you cannot find what you are looking for, please contact us by phone 1-215-689-1047 or email at info@lichadiamonds.com. 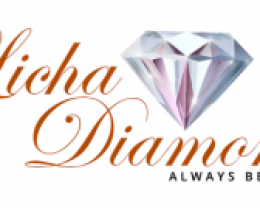 - Licha Diamonds offers complimentary shipping and insurance on all orders shipped within USA & Canada. Overnight and 2 Day shipping options are available for an additional fee at check out. We use FedEx, UPS or USPS for shipping. All orders are securely packaged and fully insured while in transit. - Sorry, we cannot ship to a PO Box! To deliver an order, adult signature is required. We recommend that you designate a home or office address for delivery where you expect to be present. 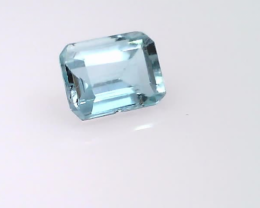 - Loose diamonds, gemstones and jewelry are shipped to your address only after we have inspected them. 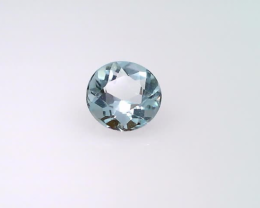 - Diamonds, gemstones and jewelry stocked in the USA ship within 2 business days after payment is received. For diamonds, gemstones and jewelry stocked in India or other foreign countries, order is shipped within two weeks after payment is received. We will advise you as soon as your order ships. - International customers will be responsible for any duties, taxes, Value Added Taxes (VAT), or surcharges charged by the customs of the destination country. Please check with local authorities regarding taxes and duties prior to placing your order. - If the package looks damaged upon arrival, please contact us immediately. We advise taking pictures of the package. All orders are securely packaged and fully insured while in transit. - Contact us if you are not thoroughly satisfied with the product. We will do our best to address your concerns immediately. - If for any reason, you are not completely satisfied with your order, you may return it within 5 days of receipt for a refund or exchange. - Diamonds, gemstones and jewelry that are custom made, customized, resized or engraved/inscribed is considered as a special order and may not be returned. - All returned items will be reviewed for any damage, wear, alteration, engraving, setting or resizing that occurred after the item was shipped to the customer. - If we determine that an item has been altered in any way, the item will not be accepted for return, and will be shipped back to you at your expense without the issuance of a return credit. - To return an item, please call us at 1-215-687-1047 to obtain a return label via email. Customer is responsible for return shipment charges. - Please have your order number handy. Payment for the return shipment can be made via credit card or Paypal. - Upon receipt of payment, we will email you a return label. Repack your item securely with the diamond, gemstone, jewelry and any accompanying paperwork including certificate, just the way it was sent to you. - Please ensure that the contents of the package are in their original condition and secure within the box. For your security, please do not indicate the contents of the package on the exterior of the box. - All diamonds, gemstones and jewelry must be double boxed for safety and to prevent damage to the product. Packing instructions will be provided with the label and must be followed. - Use the label that has been sent to you for returning the product. Please print the label and attach securely to the box. The return label will show the carrier, drop off at the carrier’s location mentioned on the return label and make sure to get a copy of the drop off receipt. - All refunds will be processed within two weeks, in the form of the original purchase method. - The policies are subject to change without prior notice. - With every diamond, gemstone and jewelry purchase the carat weight and gold karat content will be provided in writing as applicable. - Fine jewelry is not impervious to normal wear, activities or trauma. This is particularly true for rings since hands are regularly subjected to considerable abuse. We do not provide warranties for damage due to normal wear, product loss, loss of stones or theft. Damage or loss that results from failure to obtain repairs necessary to maintain the integrity of the product are also not covered. Lost stone or a stone that has fallen out due to chipping or breaking caused by normal wear or other damage.